We give every client the respect and dignity they deserve. We listen to our clients and they become part of our family. Mark Bernstein is honored to serve as the President and Managing Partner of The Sam Bernstein Law Firm, PLLC. In courtrooms and communities across Michigan he fights to make sure everyone gets a fair shake – not just powerful corporations and insurance companies. He continues the Bernstein family commitment to public service, work in government, business and the law. Mark Bernstein serves on the Executive Board of the Michigan Association for Justice. He was elected by leading defense and plaintiff attorneys from across Michigan to serve on the State Bar of Michigan Negligence Section Council. He was recently honored as a Fellow of the Michigan State Bar Foundation and a Leader in the Law by Michigan Lawyers Weekly. Mark is recognized as a Super Lawyer for excellence in the practice of law. Mark helps educate future lawyers and leaders. He has lectured at the University of Michigan Law School and the University of Michigan College of Literature, Science & the Arts on tort and civil rights law. In 2012, Michigan voters elected Mark Bernstein to serve on the University of Michigan Board of Regents. Over 2.3 million voters in the state-wide election supported his campaign to make college affordable and accessible for Michigan families. His term on the Board of Regents ends in 2020. Mark Bernstein is the longest serving member of th e Michigan Civil Rights Commission. He was appointed to serve on the Commission by Governor Jennifer Granholm in 2004 and served until 2012. In his work on the Commission, Mark was a strong voice for fairness and equality. He aggressively investigated the conduct of Michigan Civil Rights Initiative sponsors, organized the Michigan Civil Rights Summit, and examined migrant worker living conditions. Mark led the Commission to advocate for contraceptive equity, hate crime legislation, and equality for all Michigan citizens. He helped lead the Commission’s work related to bullying. Mark also helped initiate the Civil Rights Youth Initiative, a collaboration between the University of Michigan and the Michigan Department of Civil Rights. opportunity since the GI Bill. Mark Bernstein serves on the Board of Directors of Detroit Public Television. Mark has served on the Board of Directors of the Jewish Federation of Washtenaw County, as Chairperson of the Community Relations Committee of the Jewish Federation of Washtenaw County, and on the Advisory Board of Jewish Family Services of Washtenaw County. Mark has also served on both the Governing Board and Board of Trustees of the University of Michigan Hillel. His commitment to public service and professional success has been celebrated across Michigan. Mark recently received the Congressman John Conyers, Jr. Public Official Award from The ARC Detroit. He is the 2011 recipient of the Washtenaw Association for Justice Outstanding Attorney Award. Mark was also honored to receive the Claire and Isadore Bernstein Award from Jewish Family Services of Washtenaw County. Mark is a grateful product of Michigan’s public education system…from kindergarten to earning three degrees from the University of Michigan (BA, JD, MBA). 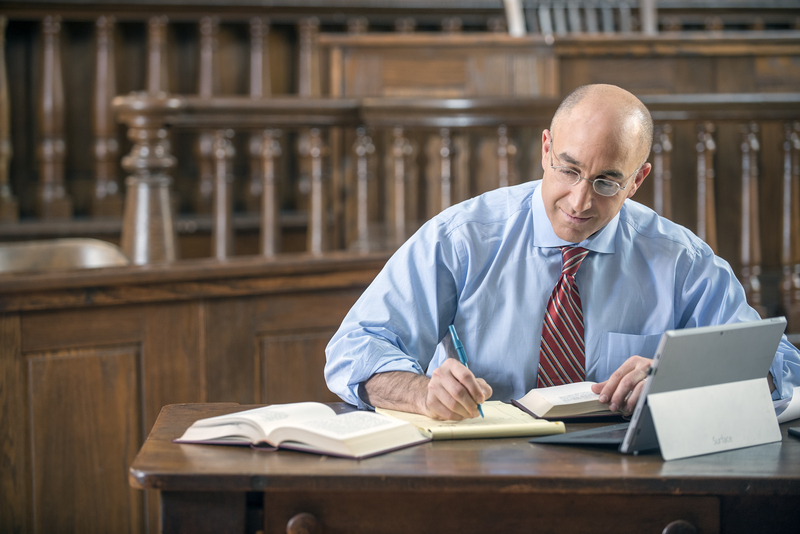 Mark Bernstein is licensed to practice law in Michigan, Illinois, and Ohio.